Hello, I have got a team of experienced professionals with years of experience in B2B lead generation and Email marketing. We have got 4 Servers and 124 diffent IPs. We have a dedicated team to check those continously and pause thier usage as and when required, so that we dont run into being blacklisted. We expertise in - EMAIL MARKETING - We have run several campiagns in past and still send millions of emails everyday. Meeting your requirement will be no problem for us. We assure 100% Inbox Delivery. We have studied most of the Email Clients and Major Email Service Providers and hence know which email will go in Spam and which will hit the Inbox. 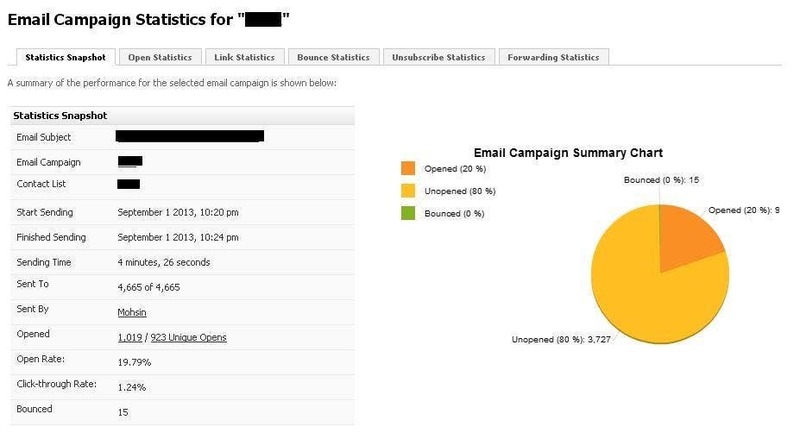 We study your Email template before starting the campaign and advise you of all the concerns and solution pertaining the Spam score of your message. Plus, we give you a unique access to our server, so that you may view the status of your campaign on real time basis. Also, create/send/pause any campaign at your own convenience.